The next seminar of the CS4: Complex Systems Simulation Seminar Series 2012/13 will take place 30th January. Rachel Armstrong from the University of Greenwhich will give the talk “A Hitchhiker’s Guide to Complexity”, 4-5pm, B53/4025, Highfield Campus. Details of Rachel’s talk can be found here. 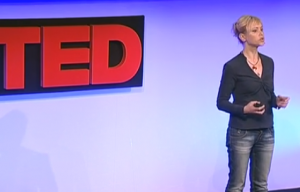 As a teaser you can also see Rachel’s TED talk in 2009. All CS4 talks are free and refreshments will be provided from 5pm. No registration is required. For videos of previous talks and details of future talks please visit the CS4 website.